I love getting to know our customers! Each and everyone of them have a story to tell. They are all coming and going from somewhere and I’m always eager to hear about where exactly that is. On a recent flight from Dubai United Arab Emirates to Toronto, Canada, I had the pleasure of getting to know a few of our younger flyers. The little one pictured with me above loved coming to the galley to say hello. 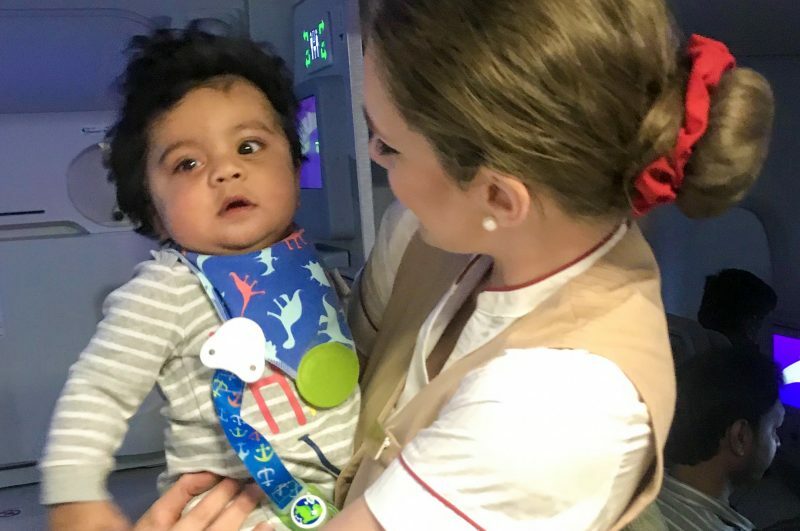 His father shared with us the story of his birth; how he came into the world a little earlier than planned and was delivered unexpectedly at at their family home. This beautiful girl has travelled quite a bit for 7 months old! 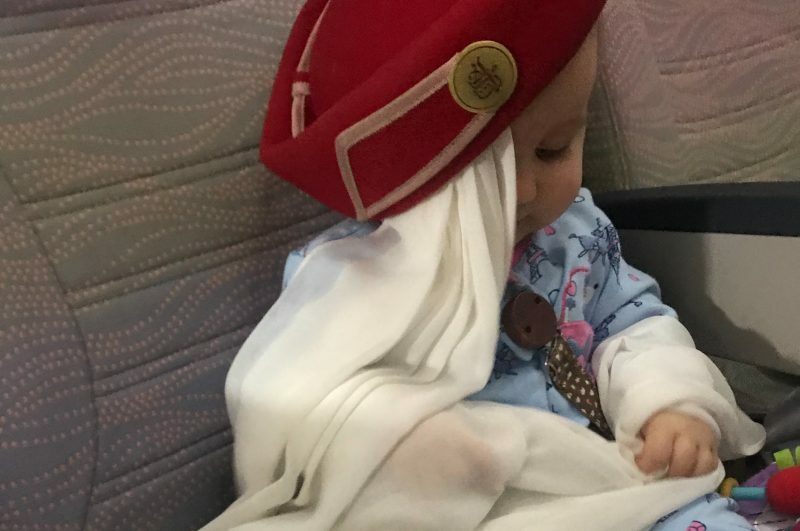 Her father works all over the world and sometimes she gets to travel too. 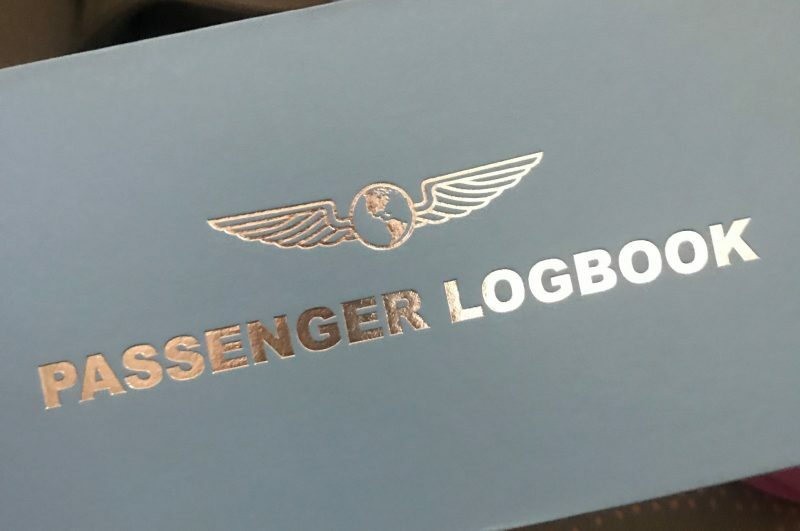 Her mother keeps a passenger logbook with all her flight details in them (shown below) and I got to add a sticker from my personal Emirates collection to it as a small keepsake for her. How exciting will that be when she grows up and gets to see a list of all the places she’s been!? Have an interesting story from one of your flights? Please share it with me in the comments below! Disclaimer: My posts are my personal views and and do not represent the views of my company. All images shared in this post were taken with knowledge and approval from the families involved.